While dogs have long been known as man’s best friend, their rapport with kids is equally as strong. Just ask Carol B., Operations Manager in the South Central Group. 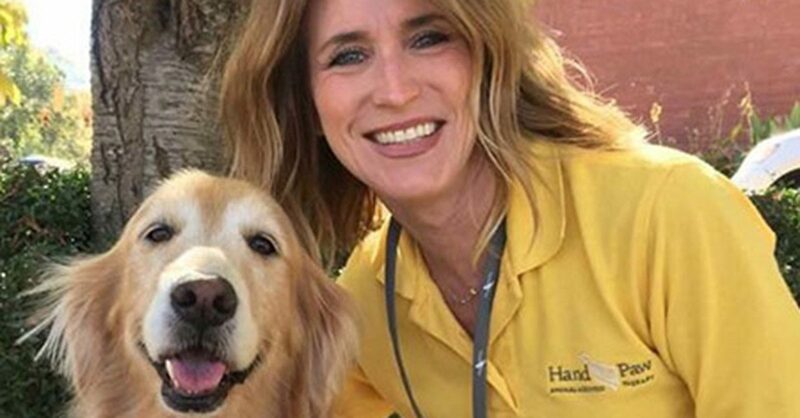 For the past three years, Carol and her nine-year-old golden retriever, Nico, have volunteered at the nonprofit Hand in Paw. The pair helps children with physical, emotional, educational or psychological needs through animal-assisted therapy. “I’ve always loved animals and am completely amazed by the calming nature of pets,” says Carol, who lives with her husband and two dogs in Birmingham, Alabama. Carol has seen firsthand the comfort dogs can bring to a person in need. “I know how much my dog helps me so I thought, ‘Why not do what I can, with a dog I love, to help others,’” she says. As a pet therapy team for Hand in Paw, Carol and Nico participate in a 12-week program called Pawsitive Living, which assists at-risk children and teens with compassion and anger management. Whether they need help learning how to interact socially, gain confidence, establish trust, overcome learning disabilities or work through anger issues, the children work toward their goals by interacting with therapy pets. Becoming a fully trained and certified pet therapy team didn’t happen overnight, but Carol claims it was worth the haul. Four years ago Carol first completed a series of workshops, handler’s training classes and shadowed a few therapy visits. Then, the duo took part in advanced training, which allowed them to visit medical facilities and special needs classrooms. Hand in Paw also tested Nico’s basic obedience commands, and how she responds to strangers, loud noises and medical equipment like wheelchairs and hospital beds. She aced her tests in 2013 and has been assisting the community since. Carol says Hand in Paw is an extremely rewarding program that makes a real difference. In addition to volunteering for one 12-week program a year, Carol takes Nico to many after-hours activities. Some of these events include visiting retirement homes and the local children’s hospital. The pair also made a ‘de-stressing visit’ to a college campus during finals’ week.